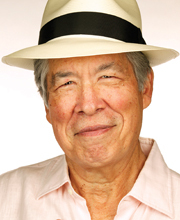 Thomas is an award-winning novelist, short story writer, scriptwriter and photographer of Cherokee and Greek descent. His fiction includes Green Grass, Running Water and the Governor General’s Literary Award winning The Back of the Turtle. His non-fiction book The Truth About Stories won the Trillium Book Award, and The Inconvenient Indian won the B.C. National Award for Canadian Non-Fiction and the RBC Taylor Prize. A member of the Order of Canada, Thomas was chair of American Indian Studies at the University of Minnesota and taught at the Universities of Lethbridge and Guelph before retiring. Cold Skies is the third novel in the “wry, large-hearted and at times laugh out loud funny” DreadfulWater mystery series. Ex-cop Thumps DreadfulWater has finally found some quiet, taking up photography in the town of Chinook. His health isn’t great, neither is his stove, but he can’t really complain – that is until a body turns up on the eve of a water conference and the sheriff turns to Thumps for help. Thomas lives in Guelph with his partner, Helen Hoy.